At first, what is foundation? We all know that every structures (concerned in civil engineering) exerts certain loads (depending on structural criteria and loading pattern) to supporting (underlying) soils. The lowest portion of structure generally lies below ground level. This portion transfers load to underlying soil or rock known as foundation. A term bearing capacity is involved with foundation. But we will go through this term in our upcoming posts. Shallow foundations are generally placed on an adequately firm soil not very deep from ground and as discussed above is the lowest portion of structure. Sometime this portion can be said as sub-structures. 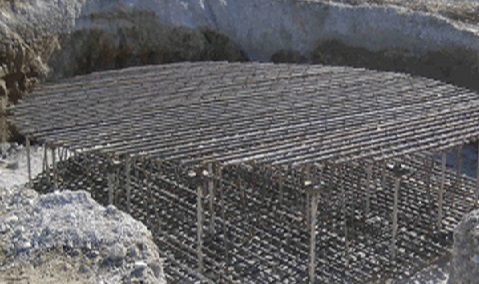 -mat or raft foundation etc. Shallow foundations are usually defined as the foundations that are placed at founding depth which is less than width or breadth of foundation. -its depth less than 3 meters.